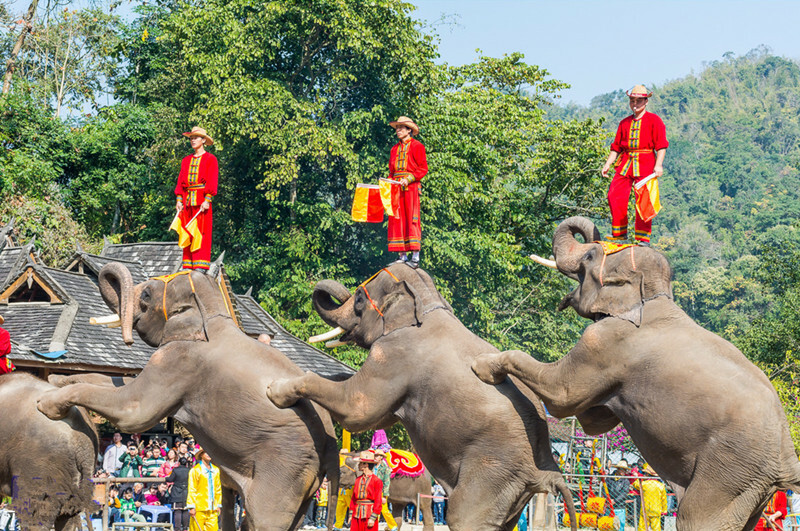 This one day tour will lead you to visit the famous Wild Elephant Valley and Jinuo Mountain, experience the beauty of nature and the charm of wild animals. Visit the renowned Wild Elephant Valley. Appreciate the picturesque scenery of Jinuo Mountain. 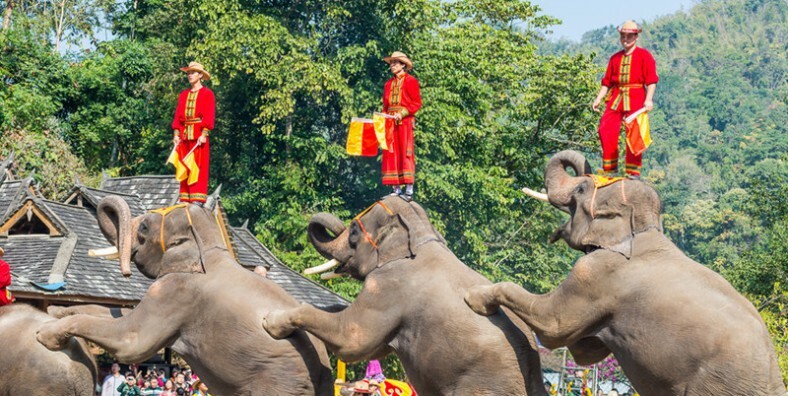 Start from Jinghong at morning, drive to Wild Elephant Valley at the edge of nature reserve specially zoned for forest and wild lives conservation, which is the residence of approximately 60 wild Asian elephants. Wild Elephant Valley has two entrances, we choose to start sightseeing from the further one, first along well paved path do a soft hiking for around 1 hour across rainforest, then take cable lift above jungle for around half hour to enjoy rainforest view from air, this ride is the most relaxing and refreshing part of sightseeing, it will take us out of wildness to the front entrance of park, where we are going to spend half hour watching a small elephant domesticating show. When park tour finishes, drive to visit Jinuo Mountain, which is situated in Jinghong City popedom, Jinuo Mountain has a circumference of over 600 kilometers. With convenient traffic, it is 42 kilometers from Menglun Town in Mengla County to the east and 20 kilometers from Mengyang to the west. As one of six mountain hills of Pu’er Tea, over 18,000 diligent and brave Jinuo people reside here. These Jinuo people primarily reside in Jinuo Mountain, where the tropical mountainous area enjoys a warm climate and ample rainfall. They live in bamboo buildings hidden among green leaves. In their own language, Jinuo means “the ethnic group that respects the uncle”. The mountain villages are built on the top of the mountain or at half mountainside. Surrounded by the forest, it has unique tropical rainforest sights. Around is the national nature reserve, you can fall across various animals and hear the singing of birds when traveling in the mountain villages. After the tour, be transferred back to your hotel and service ends.